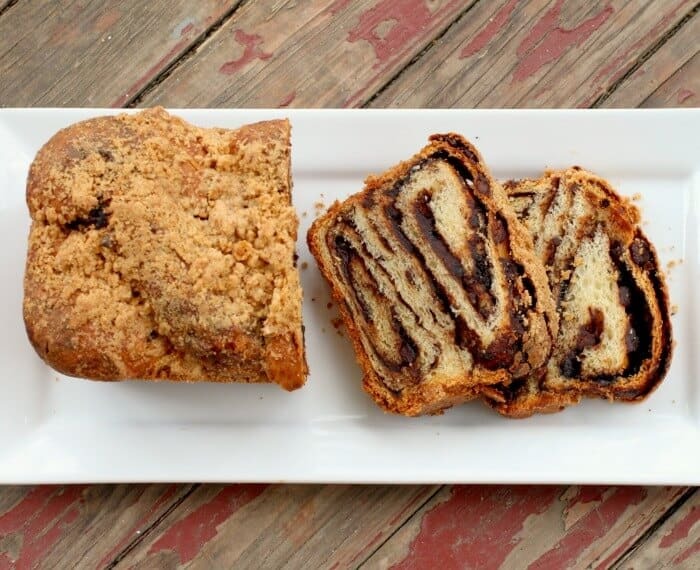 B is for Babka – this chocolate babka is filled with chocolate, chipotle, and roasted cinnamon then a thick layer of streusel iis added on the top. Better get a drip cup , though. You will be salivating by the time you’ve finished reading this. 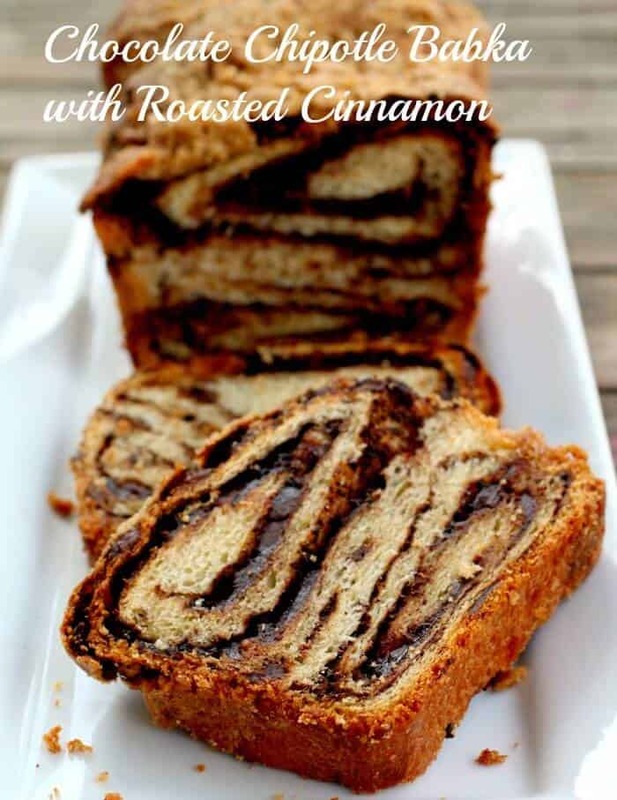 Babka is an Eastern European sweet bread made with a rich, yeast leavened dough that is similar to brioche. It is often served for Easter and, I have to say, this would be an awesome addition to your Easter table! It is not quite a dessert but not really a bread either. The bread is buttery and tender with a chipotle, roasted cinnamon ganache swirled through it. It’s topped with a not too sweet streusel and it really is a treat for brunch or as an afternoon treat with a cup of Earl Grey. Although it takes quite a lot of time to make very little of it is hands on. You make the dough and then let it rise overnight in the refrigerator. Hands on time is maybe 30 minutes, if that. When you shape the dough you twist it. It is a little complicated to explain but you can see how it’s done in the images below. Roll up from the long side. Twist a couple of times. This should freeze just fine for up to three months as long as you keep it tightly wrapped. 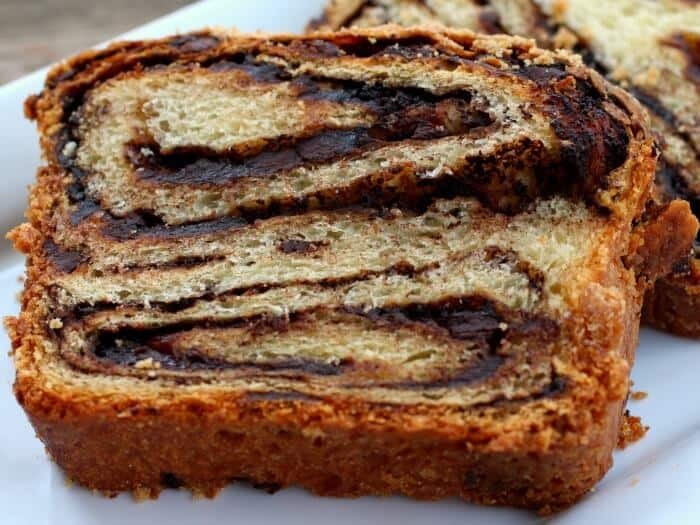 I’ve seen all kinds of recipes for babka with all kinds of ingredients but I like this one best. It is simple, it is do-able, and it’s delicious. You may want to try all kinds of fillings once you make one. I’ve seen cream cheese and strawberry babkas, nut babkas, and almost everything else that you can imagine. You can’t begin to imagine how the house smells when this chocolate babka is baking in the oven! Continue to mix on medium speed – scrape down the sides often. On a floured surface roll each ball of dough into a 12″x 20″ rectangle. Once it is rolled up fold it over so that it creates a “U”. This sounds just amazing and I love the addition of the chipolte! Thanks! Chocolate and chipotle work so well together! LOL! I’ll get right on it! This looks awesome! Love your little spicy kick to it! I seriously do need a napkin to keep the drool off of my keyboard! This looks incredible!!! 🙂 It was really good! That looks amazing! I gotta give this baby a shot sometime soon! You have such nice pictures on the blog, do you use a professional camera or something? Thank you. I just started using a Cannon Rebel about 2 months ago but I am not very good with it yet. You should try this. It is really pretty easy to make. 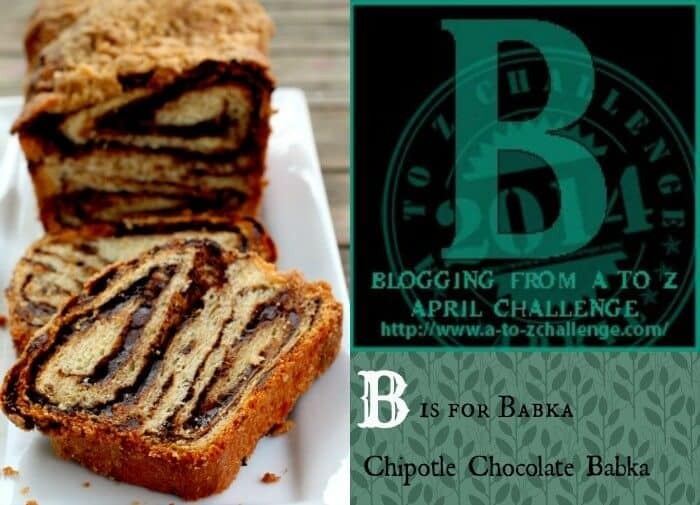 Babka is one of my favorite sweet breads and I LOVE that you added chipotle to the party! WOOHOO!!! Oh my! Now this I might try to make myself! I am so making this next weekend to have with my coffee while I will be editing my vacation photos….I. Can’t. Wait. Stopping by via the CCN! 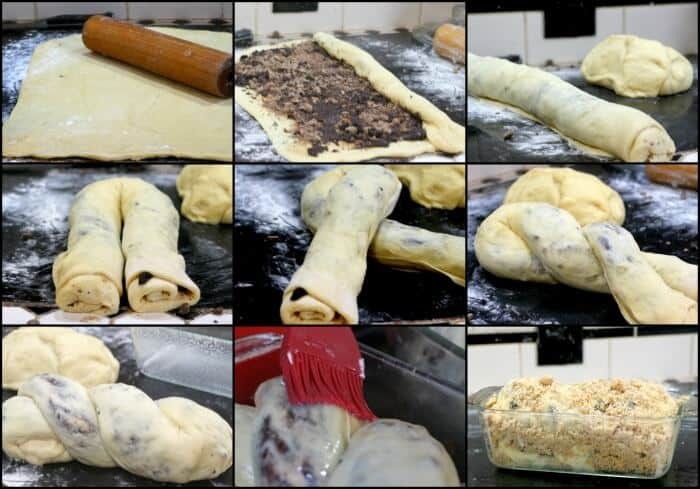 Love this babka tutorial! I’ve always wondered how to make it! Looks lush! Thanks Maria! It really was… so rich. I love cinnamon! This sounds amazing! This sounds wonderful! Good luck with the challenge! thanks Lori! And … thanks for stopping by. I keep seeing babka! I really must try making it one of these days. 🙂 I love your step by step photos . . . such a great help with a more complex recipe like this! This has always been on my list of desserts to try. Yours came out beautifully! Thank you! You should try it … it’s delicious.